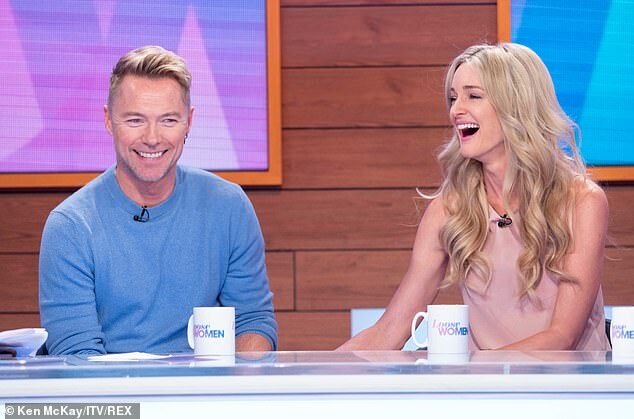 Storm Keating has revealed she and husband Ronan discussed having children together on their first date because she had ‘always pictured’ being a mother. 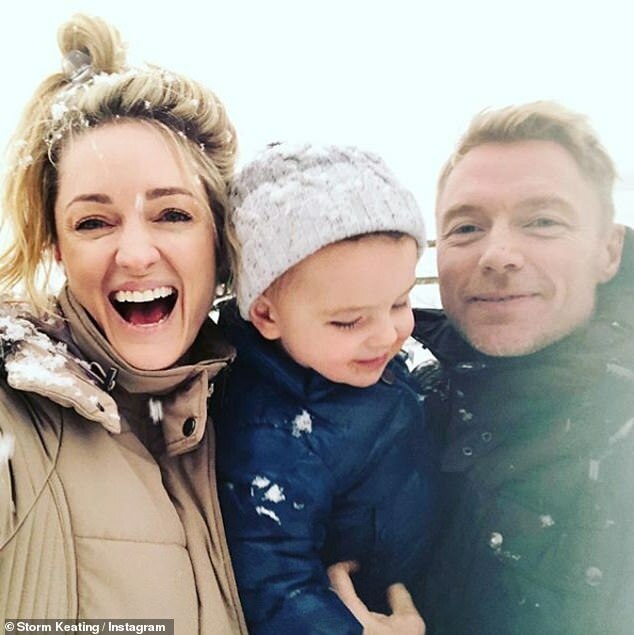 When the couple first met in 2010, the Boyzone star, 41, already had three children from his first marriage to model, Yvonne Connolly, 45. 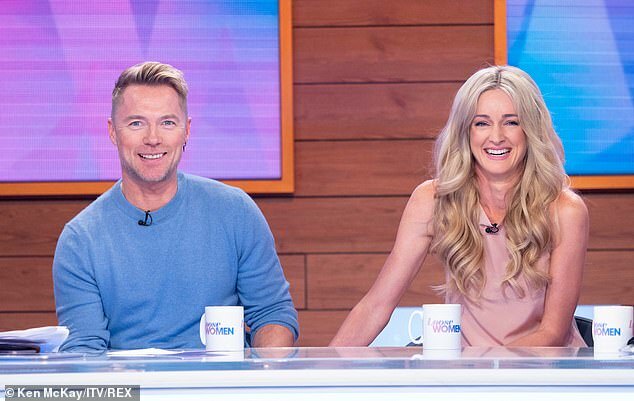 Storm, 37, told Monday’s Loose Women panel that she knew she wanted to have a family of her own one day, so didn’t waste time when it came to telling Ronan her intentions. Ronan and Storm are parents to son Cooper, 22 months, who was born in April 2017. 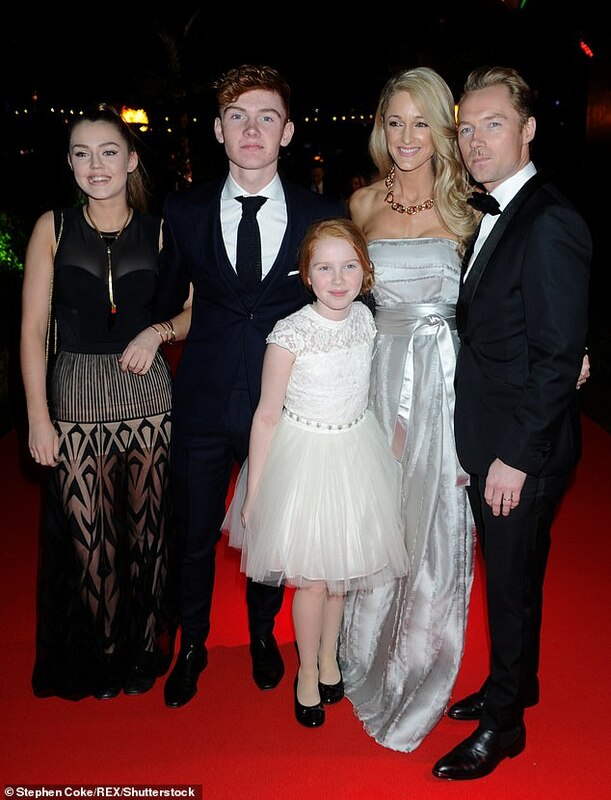 The Irish singer is also father to Jack, 19, Missy, 17, and Ali, 13, from his marriage to Yvonne. The possibility of not having children had crossed Storm’s mind during the early days of their relationship. The couple first met when Ronan was a judge on The Voice Australia in 2011 and Storm was working behind the scenes as a producer. Storm revealed that Ronan’s children were not aware that they were dating when they first met her. She said: ‘The first time I met the kids they didn’t know we were dating. But we got on like a house on fire. They are the best kids.’. Storm and Ronan married in a spectacular wedding overlooking the Scottish coast in 2015, with Ed Sheeran entertaining guests at the reception. In a previous interview with Hello! magazine, Ronan revealed what went through his mind when he saw Storm walking down the aisle.